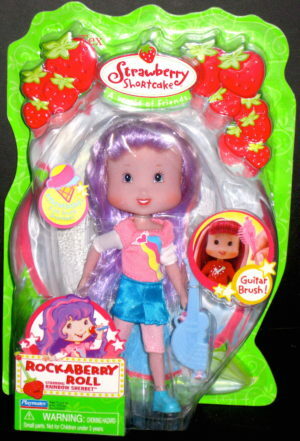 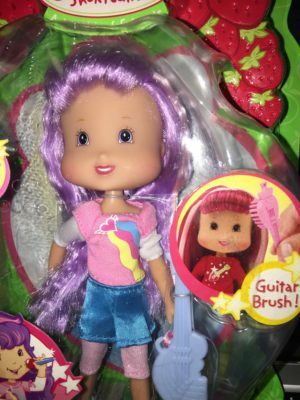 Rockaberry Roll Rainbow Sherbet doll with blue guitar brush. Rainbow Sherbet doll with blue guitar brush from Rockaberry Roll series. 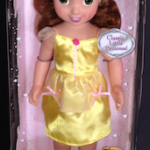 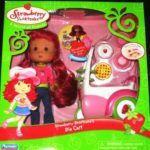 Rainbow Sherbet is a Strawberry Shortcake doll friend from the A World of Friends collection. 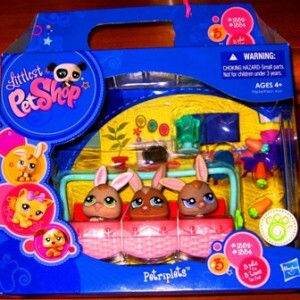 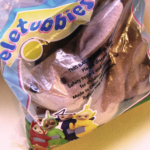 Includes hair extension and smells sweet with tutti frutti scent. 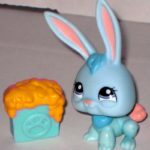 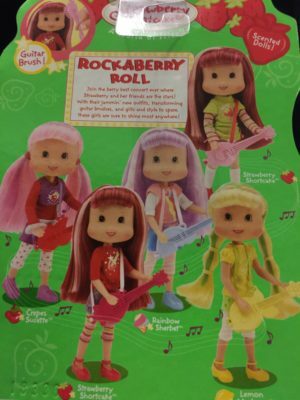 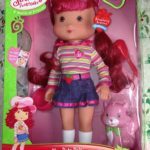 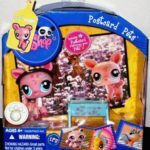 This A World of Friends Rainbow Sherbet Rockaberry Roll doll from 2008 wears a green shirt with a strawberry emblem and colorful long striped sleeves. 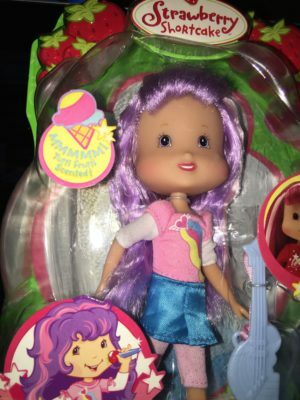 She also sports knee high socks and red shoes. 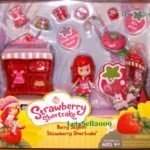 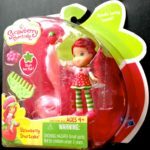 Strawberry Shortcake Berry Stylish Dressup 10+ Pieces!